Prominent & Leading Manufacturer from Ghaziabad, we offer centrifuge filter bags and centrifuge separator filter. We hold expertise in offering our clients a qualitative range of Centrifuge Filter Bags. These bags are highly demanded in the market for their most favorable finish and alluring look. The offered bags are precisely designed and manufactured by our deft team of professionals using the best quality raw materials and advanced machines keeping in mind set industry standards. Moreover, our clients can avail these bags are from us in various specifications at rock bottom price. Owing to our immense domain expertise and market knowledge, we are able to offer excellent quality Centrifuge Separator Filter. Provided bags can use for the variety of applications like chemical processing, fertilizers, food processing, etc. These bags are designed and manufactured in strict adherence with market quality standards using quality tested raw materials and sophisticated machines under the direction of our adroit professionals. Available in different sizes, offered bags are provided at very nominal price to our honorable clients. 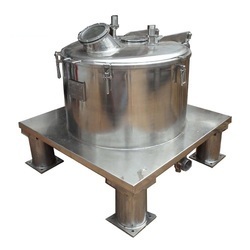 Centrifuge Filter Bags are robust in removing the gelatinous particles and solid particles. These bags are made up of Polyester and polypropylene. Broad range of Filter Bags offer magnificent filtration and consistency. Centrifuge Filter Bags are versatile with custom size. 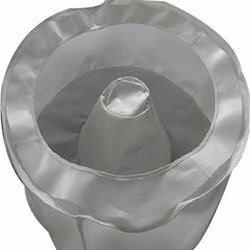 These Centrifuge Filter Bags have diverse temperature compatibility. These bags are easy dis-positioning and have great dust holding potential. For 12” to 60” centrifuge filters. Heat sealing of all stitches to further reduce fibre contamination. Wide range of fabrics to suit your requirement. Special Finished like Antistatic, Water repellency, Anti-adhesive also available.